In partnership with PlayTech, 21nova Casino supplies online casino fans with more than 60 exceptional casino games to choose from, all playable for real money or just for fun. The online casino has a few innovative Arcade style games as well. 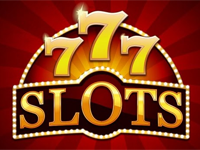 A variety of Online Slots include classic reels and video slots with multiple progressive jackpots available. 21nova Casino is proud to offer two extremely profitable Progressive Jackpots – the Take $5 Million Slots and the online casino’s own exclusive progressive, Spin $2 Million. As an added bonus, 21nova Casino offers exclusive auto-spin and multi-window options on all games. Play your favorite Card Games and Table Games like Blackjack, Roulette and Craps, or try your luck on the Video Poker machines.